The Omega Mfg. 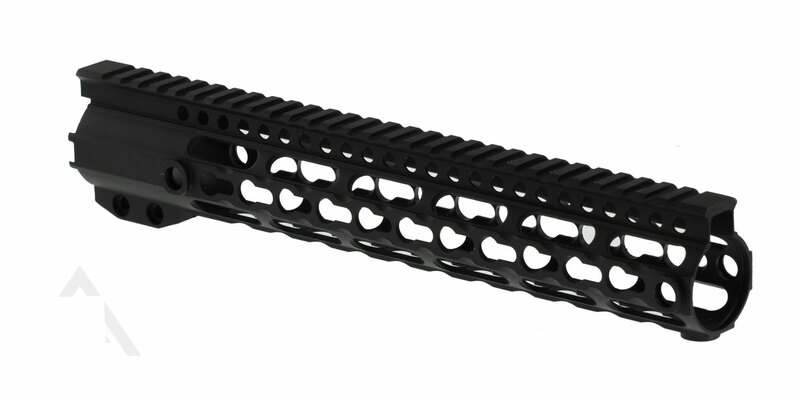 "Maybach" 12" Keymod Handguard features a premium quality build and profile for AR owners looking for a solid, high quality platform on a budget. 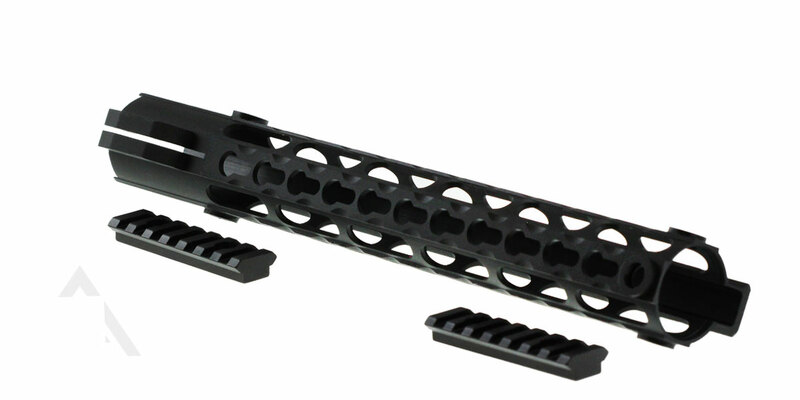 With a static top rail optimized for mounting a variety of accessories or optics this rail an ideal solution for any owner looking for speed and mission flexibility. Constructed from aerospace grade 6061 aluminum and durable matte-black anodized finish that resists scratches and provides an attractive surface that matches the rest of your build, this rail is fully "dehorned" for a non-abrasive, comfortable feel in your hands. Perfect for assembling a new build or upgrading an existing rifle – it’s compatible with most upper receivers on the market. Includes Steel Barrel Nut and Installs clean and secure with only a few simple steps.